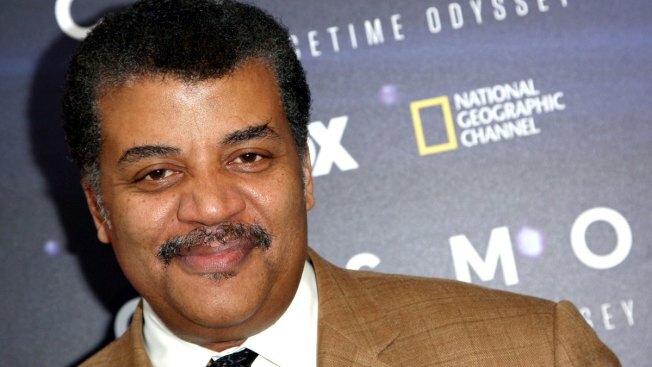 In this Aug. 3, 2014, file photo, astrophysicist Neil DeGrasse Tyson attends the FOX and National Geographic screening of "Cosmos: A Spacetime Odyssey" held at The Paley Center for Media in Beverly Hills, California. Patheos.com published accounts Thursday from two women who say that Tyson behaved in a sexually inappropriate manner with them. Tyson was the host of "Cosmos" on Fox in 2014 and a new edition of the series was to air on National Geographic next year. On Saturday Tyson issued a statement on Facebook to recount his version of the events that transpired with the women who've accused him. In it, he welcomed the independent investigation being conducted by the networks. "Accusations can damage a reputation and a marriage. Sometimes irreversibly. I see myself as a loving husband and as a public servant – a scientist and educator who serves at the will of the public. I am grateful for the support I’ve received from those who continue to respect and value me and my work," he said.